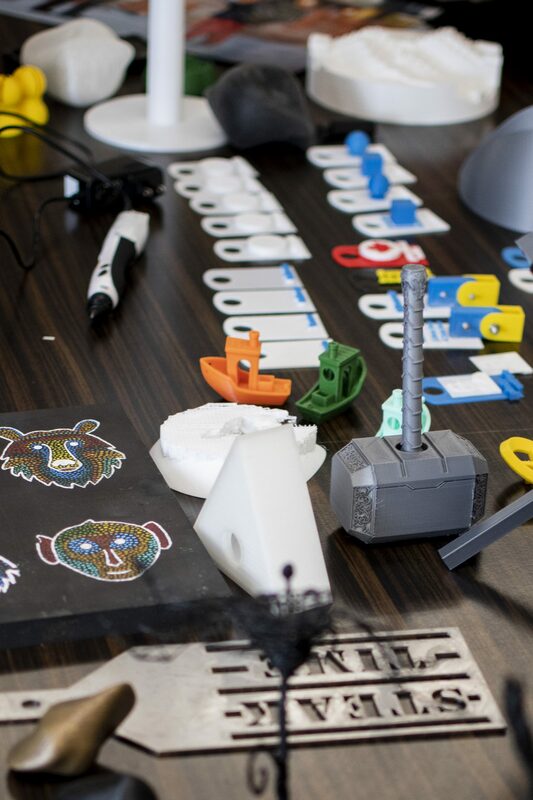 This year, Wilfrid Laurier University implemented the library makerspace: a facility with a purpose to encourage students to engage in hands-on learning and be able to simply create something with the great variety of equipment and materials made available. The Cord sat down with Darin White, the makerspace’s primary coordinator, the library’s communications and cultural programming associate, as well as a self-identified maker, who is excited to share his passion for making with Laurier through open-space sessions and workshops. “It is primarily a space for making things with your hands — we like to have a really simple mission,” White said. White has been a part of the maker movement for a long time, and has been active in creating and participating in makerspaces within Kitchener-Waterloo. “We got our doors open here at the makerspace in January. The first and only tool was a sewing machine that I got from Value Village and I chose the sewing machine very purposefully,” White said. White explains that the sewing machine is something that everyone can learn to use and being able to sew is a skill that everyone can find a purpose for at some point in their life. The makerspace has now expanded their inventory of mediums with multiple 3D printers, photography equipment, modelling clay, knitting, crocheting and robotics. “The space is mostly an incubator of creation, so you may have a plan and we have the tools to make it happen,” said Alex Vassel, a Laurier student and avid maker. The makerspace has an extremely open door policy in which students are encouraged to stop by simply with the desire to create and try new things. As well, White encourages students to share their own skills with other students in an effort to facilitate “meta-making” and growth of the maker-movement. Community involvement for students is something very important to White. White also noted his advocacy for student wellness and how he believes that the makerspace has created not only an area in which students can come and create physical things, but also come and genuinely interact with different people. In June, he and 15 student volunteers spent a weekend at the Kitchener Auditorium teaching over 500 people how to solder. “You’re making these connections through soldering but you’re also making a connection with the person you’re teaching,” he said. White is encouraging students to participate in making and exploring new skills, through a variety of workshops. These are provided by Darin himself or many guests from within the community, who are eager to share their skills and interests. “You’re students, but you are also teachers and you are makers,” White added. “Last week we had Deborah MacLatchy, your Laurier President. She came in and she did a workshop in 3D design,” White said. White also took a group of students to Two Smiths, a local black smith’s shop for a makerspace field trip. “If you think about Laurier’s strategic plan, a pillar of that is experiential learning, and the way I interpret that is helping people make stuff,” White added. “Your university librarian,Gohar Ashoughian, has a vision of the library as a cultural crossroads … this is a great vision and that’s part of what inspired me to come here: this vision of people from across programs all get together and make stuff … it’s a really great space to meet people,” White said. “I was delighted to discover that people will come here and say, ‘ah! I’ve found my people!’,” White added.